"I had started working with my lender, a big company, but I wasn't sure how to navigate such a complex system. The Foreclosure Avoidance Program helped walk my husband and I through the process." 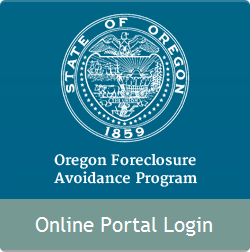 The Oregon Foreclosure Avoidance Program brings homeowners and lenders together with a facilitator to find a mutually agreeable resolution. Core training for this program has already taken place. Facilitators can contact Mediation Case Manager for information about future training sessions. This program requires mortgage lenders to meet with homeowners who choose to participate in a resolution conference session before proceeding with foreclosure action. Before attending the resolution conference, homeowners must meet with a qualified housing counselor to review their financial documents and make sure they are prepared with the information they need to avoid foreclosure.